Inspire partner Sailors' Society has launched a new coffee range to help tell its story and diversify income. BySea coffee is a commercial first for international maritime charity Sailors’ Society – and represents a sea change in coffee with 100 per cent of profits supporting the charity’s work with seafarers and their families around the world. Ethically sourced and socially responsible, the first two blends from India and Brazil were specifically chosen as the charity is expanding its work in these countries. Sailors’ Society CEO, Stuart Rivers, said: “More than 90 per cent of everything we own and use comes by sea, by seafarers who are typically away from home for nine to 12 months facing violent storms, loneliness and isolation and even piracy and terrorism. 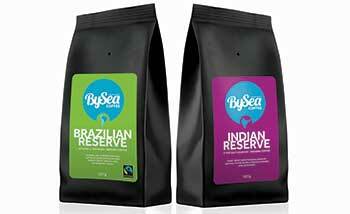 BySea, even just by the name, reminds us of the journey our coffee has made before it reaches our cup. “Sailors’ Society will be 200 years old in 2018 and looking to the future we are finding ways of diversifying our income; everyone needs coffee so this is a way every individual, office and church can help support the work we do, whether that’s helping a seafarer talk to loved ones back home or building classrooms for children in the Philippines. BySea offer competitive packages for churches on coffee and equipment, meaning your church can support the charity's missional work across the world. Money raised helps fund chaplaincy work as well as build homes and schools in poor communities and keep young children in touch with mums and dads away at sea for many months at a time. Visit www.bysea.org for more information and to purchase the coffee. We are continuing to produce seasonal 'mini magazines' and make them available for you to use offering encouraging, engaging content – still stories, still jargon-free, still designed to be given away, still free. Our latest, an 8-page issue for Easter 2019, is available now – order HERE from CPO. © 2019 Inspire Magazine. All rights reserved. Inspire Magazine is published by Christian Publishing & Outreach, registered in England & Wales (Charity no 221462). Company limited by guarantee No 588731. VAT no 860 219 341.